There are a variety of reasons for stockholder disputes. The two most common disputes for small companies arise when stockholders are deadlocked with no majority, and when a minority stockholder believes that the company isn’t being run in its best interests. Deadlocks are usually seen in small 50/50 corporations. 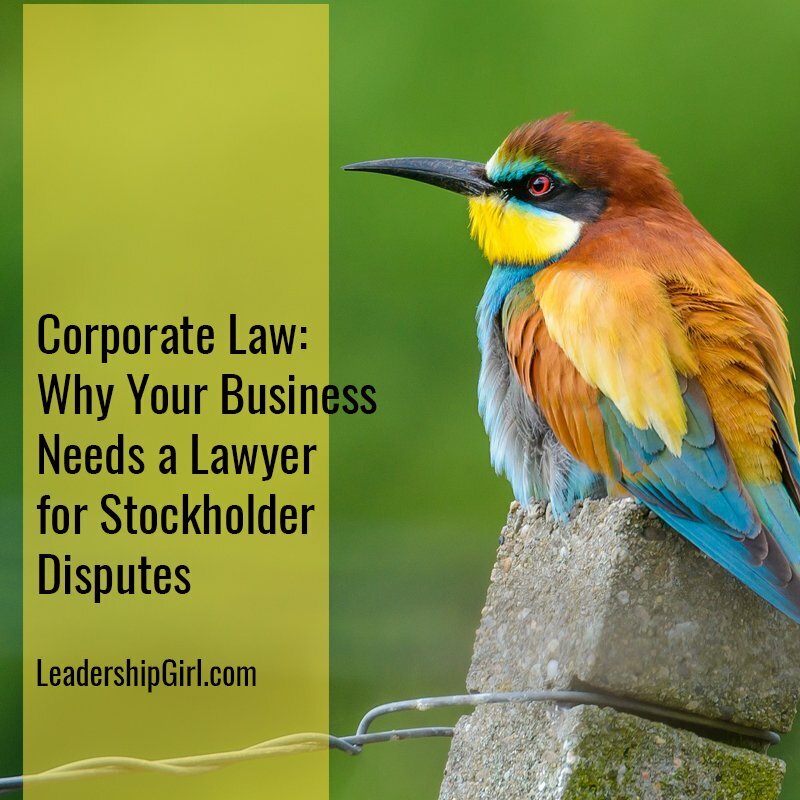 The partners might not realize it, but in the governing documents of their corporation and stockholders agreement, provisions could be in place in case of a deadlock. Those provisions may well be subject to interpretation. They might involve a buyout, mediation or even winding up the corporation. These disputes can be resolved either privately or publicly in a court of law. In whatever way they are addressed, you will need the involvement of a seasoned commercial lawyer to advise you on your rights, obligations and remedies. You’ll want to know your full range of options. If all roads lead to litigation, a trial law firm with a successful history of representing stockholders in disputes should be considered. Disputes involving minority stockholders often involve allegations of being treated unfairly or oppressively and being squeezed out or frozen out. A squeeze is an attempt to get the minority shareholder to sell their shares at a low price. In a freeze, the minority shareholder is treated as if he or she no longer exists. As opposed to the 50/50 corporation, this might be seen in the 51/49 entity. Again, a stockholders agreement might control a situation like this, but according to commercial courtroom attorneys, many small closely held corporations have no such agreement. Colorado has enacted broad legislation for the protection of minority stockholders. Without those protections, minority shareholders could be at the mercy of arbitrary and capricious decisions by the majority stockholder. The rights of all stockholders are protected, particularly those with a minority of stock in a company. Regardless of which side you’re on, you’ll want an attorney or law firm that can invoke and protect your rights. It isn’t unusual for minority or majority stockholders to file lawsuits against each other. That involves complex litigation and extensive courtroom experience. You will need a lawyer or law firm that understands deadlocks and stockholder lawsuits and how to effectively resolve them or litigate them. Once that lawsuit is filed, your ability to resolve such a dispute on your own diminishes exponentially.